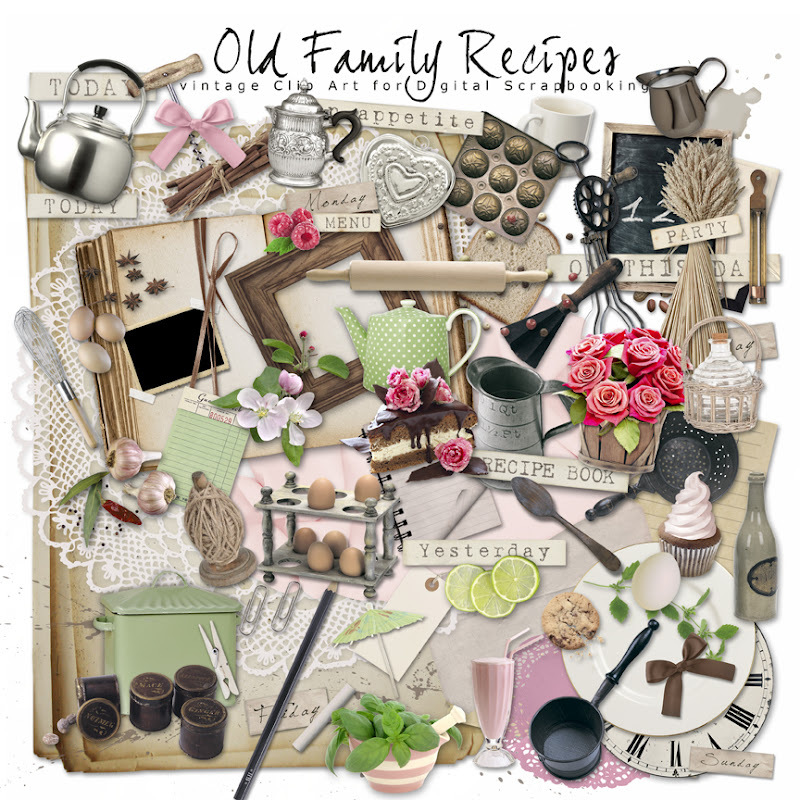 Today, I want present to You New Kit of Kitchen Clip Art in the NeareStore - "Old Family Recipes". Details: This Kit contains more than 75 images. 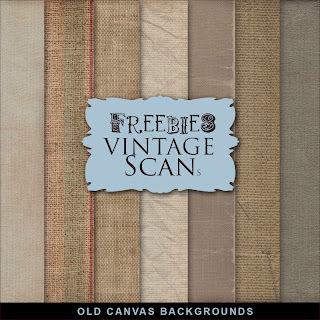 Illustration created at 300 dpi (png file). The Kit does not include background. 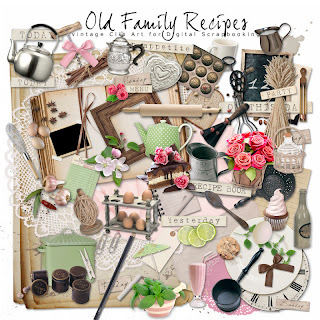 Click HERE to buy kit "Old Family Recipes". 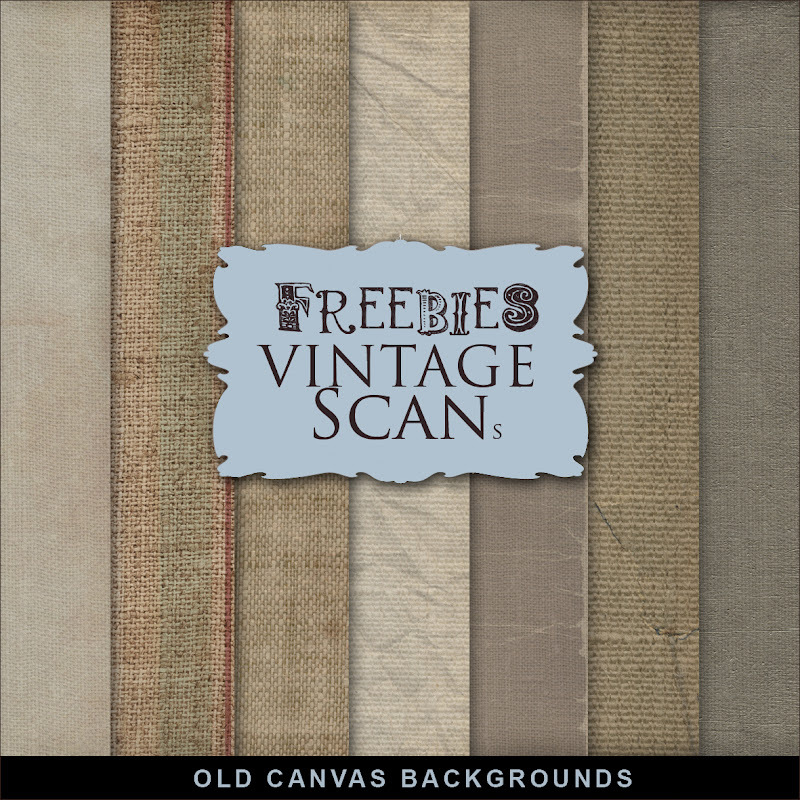 Click HERE to download Freebies Old Canvas Backgrounds.